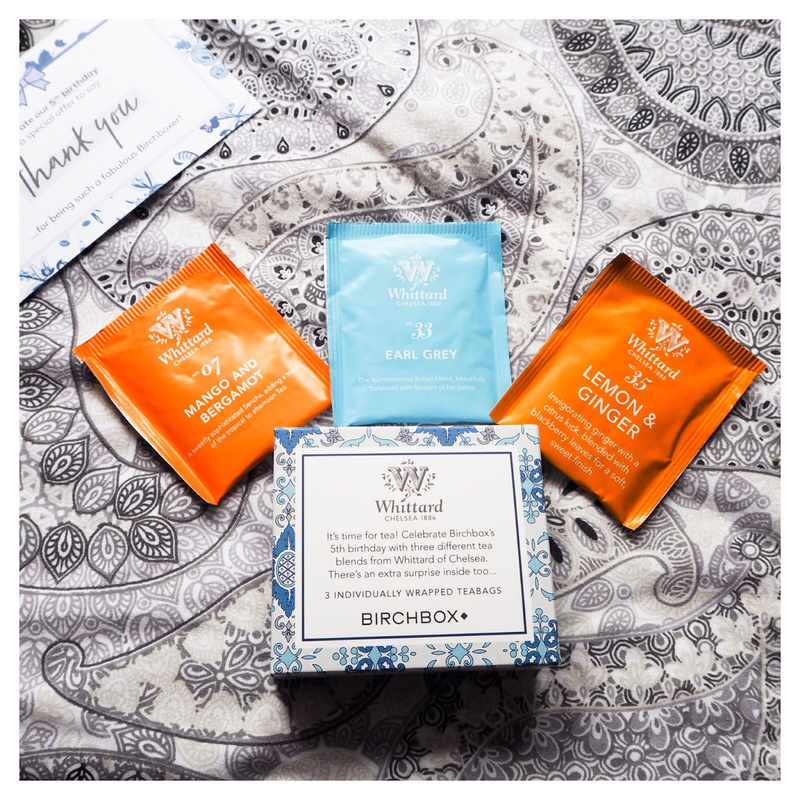 Today's post is long overdue, I've not done a Birchbox related post in months and I know that's down to me having very little motivation and lack of inspiration, so I'm sorry. ☹ However, with my new found love for going to the gym, having smoothies every morning and just generally having more of a routine and feeling good about myself I'm feeling more and more positive about blogging and filming (video to come next week!). But enough rambling about my absence and lets get straight into this months box because it's a special one. 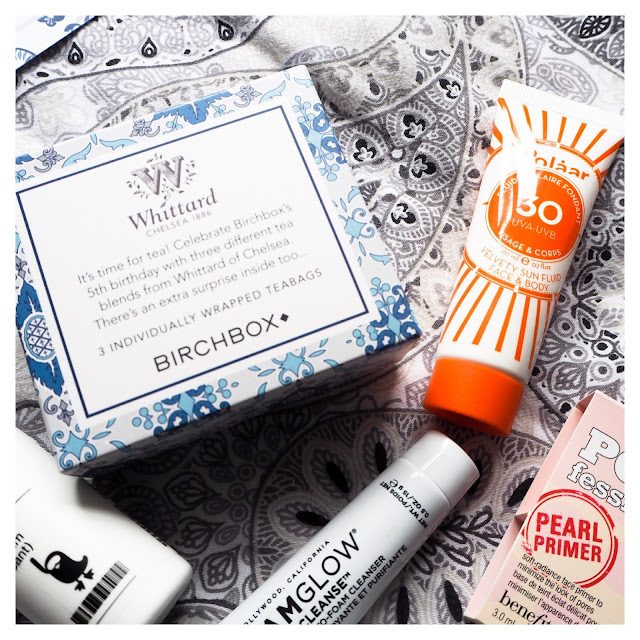 Birchbox is 5 Years old! Yup, you heard that right. Our beloved BB has turned 5 years old this May just past and with that they really went to town with the 'box' this month or shall I say tin? I was surprised to see my box was a different shape than the usual rectangular box and was curious as to what was inside and why. Low and behold the beautiful tin channeling the most British of occasions, the tea party. 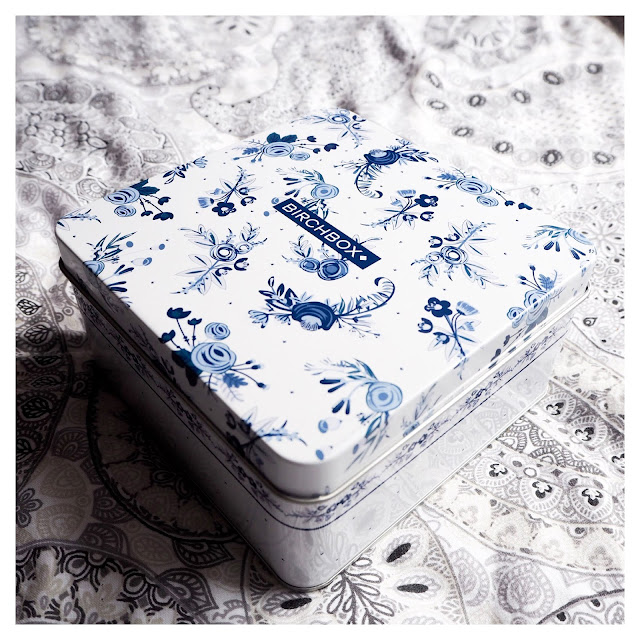 With it's delicate floral design and blue and white hues it really does embody all that is traditionally British. I fell in love instantly. It's time for tea! Celebrating BB's 5th birthday Whittard of Chelsea we're kind enough to sample us three different blends of tea; Lemon & Ginger, Earl Grey and Mango and Bergamot. I've always been a huge tea addict, until I turned 18 and began to discover the delight that is coffee. Needless to say my tea drinking days had disappeared - this doesn't mean I don't have a sweet spot for those little bags of goodness so when I saw the 3 difference blends I was so excited to finally try get back to my roots and enjoy the delicious taste of tea once more. 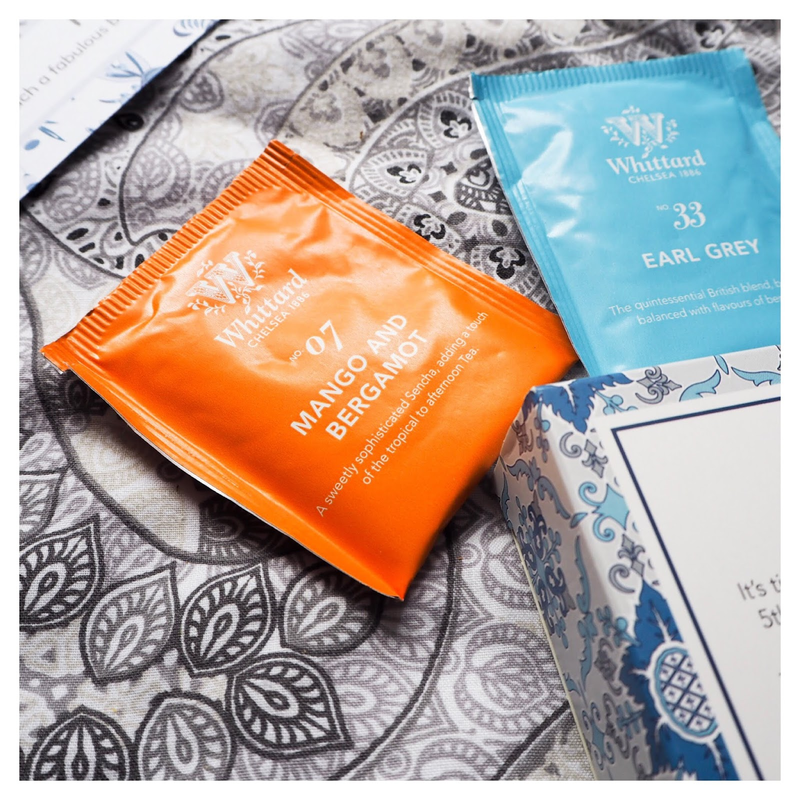 I'm particularly excited to try the Mango and Bergamot blend as this is something I've never ever tried before and I'm all about trying new things! In my last BB I received Number 4 Sugar Texturing Spray which has been a God send for those days where my hair has been limp and lacklustre. This month I was sent another Number 4 product and I'm very excited to use this! One of my main hair struggles is frizz and not looking like I've rolled out of bed and forgot to brush my hair...I have been blessed with extremely thick hair and now it's reached a length most people, including myself, would call long so it's very high maintenance and being a lazy gal it's not always fun for me to style my hair every day for that exact reason. Number 4's Smoothing Balm claims it's hardworking formula works on all hair types minimising frizz, restores softness and protects against humidity and heat damage. All you need is a small amount worked through damp hair before styling as normal. 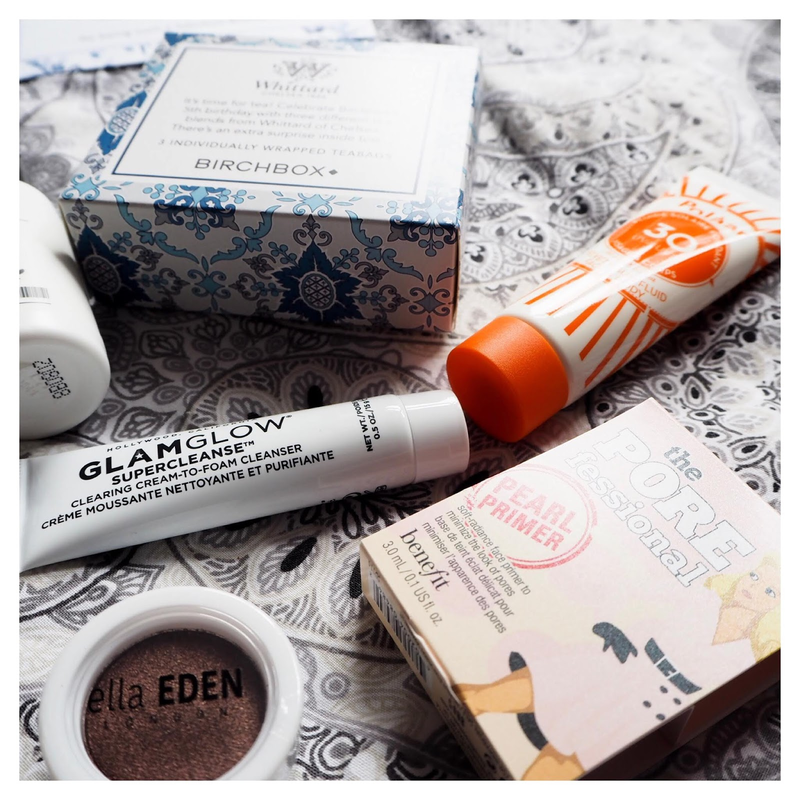 For this months full sized product I received Ella Eden's compact eyeshadow in 'Faith'. This gorgeous mineral eyeshadow combines intense colour pay-off with long-lasting wear, which is absolutely perfect for everyday use and during an evening out! Plus the shade 'Faith' is a go-to shade for me as it's a deep brown that goes with literally any eye look, outfit and occasion. I loved the original Benefit POREfessional primer, I actually still use it to this day! So when I saw they included a sample of the new Pearl Primer my eyes lit up with excitement. This fresh new formula features the same oil-free texture as the original POREfessional as well as an added dose of pink pigment for brightening the skin. Plus the package is absolutely adorable, Benefit always come out with some of the best packaging designs on the market. 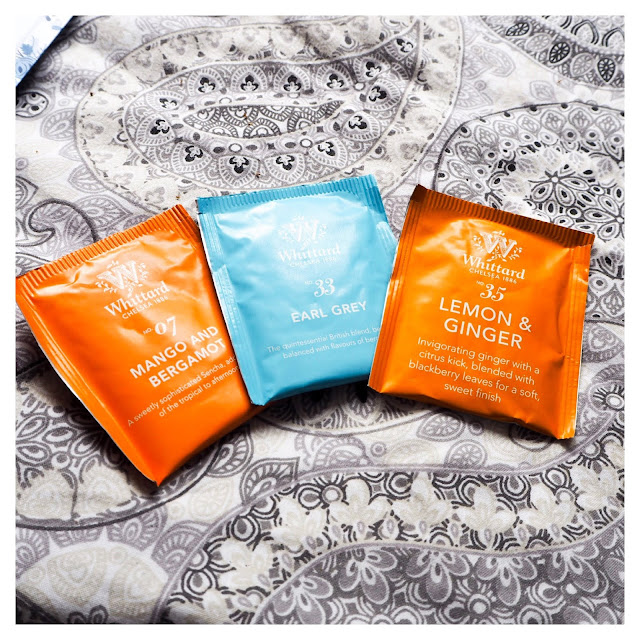 In a previous BB I received the Polaar Ice Pure Gentle Scrub with Arctic Cotton, which also was shortlisted for the Birchbox Beauty Awards, and it's one of the best face washes I've ever used. It has a gorgeous 'clean cotton' scent that isn't abrasive on the skin and leaves me feeling fresh, awake and cleansed. With this months BB I was lucky enough to receive a second Polaar product which I used over the weekend and my goodness, it was delightful. The Velvety Sun Fluid is the best kind of sunscreen that doesn't leave white residue behind; quickly sinking into the skin to protect from UV rays with it's SPF 30. The only 'downside' which I wouldn't really consider a downside but worth mentioning - this does need to be topped up throughout the day so remember to throw it in your bag if you're going bare face and top that bad boy up! Ah, GLAMGLOW how I love thee...A few months a go I picked up the travel sized version of GLAMGLOW's Supermud Clearing Mask Treatment which is hands down, one of the best face masks going! 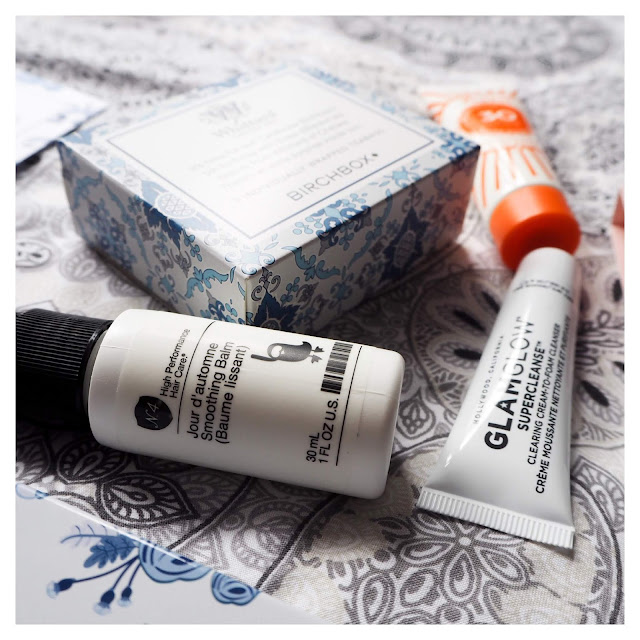 This month I was delighted to see another GLAMGLOW product to try. Packed with a blend of not one, not two but three charcoals, this cream-to-foam cleanser detoxifies skin, removes excess oils and absorbs impurities! Ugh, can it get any better? I'm so excited to try this cleanser and I'm sure my high hopes will not be disappointed. 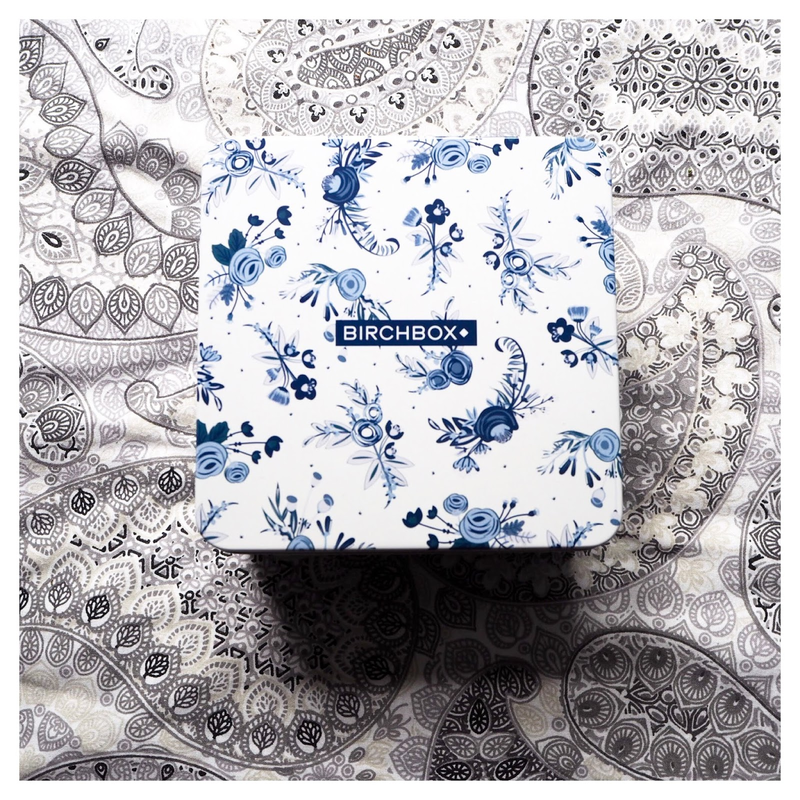 So there we have it, Birchbox's 5th Birthday Special and it really was a treat to receive! 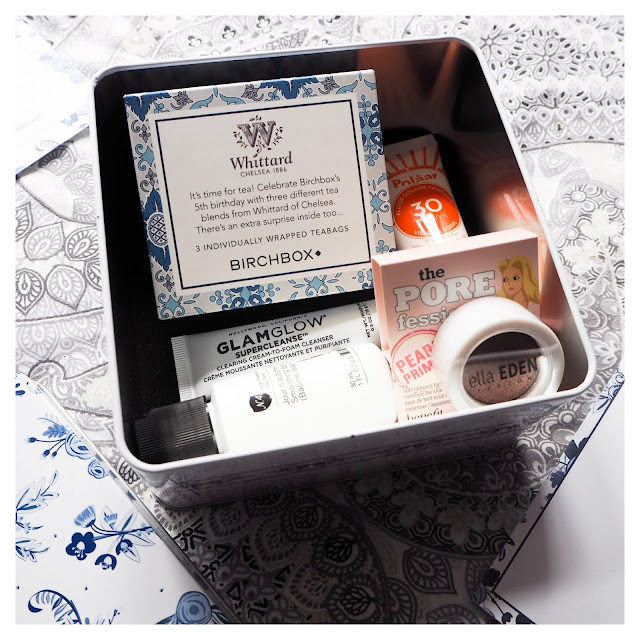 So many products that excite me and actually have purpose in my beauty and skincare routine. 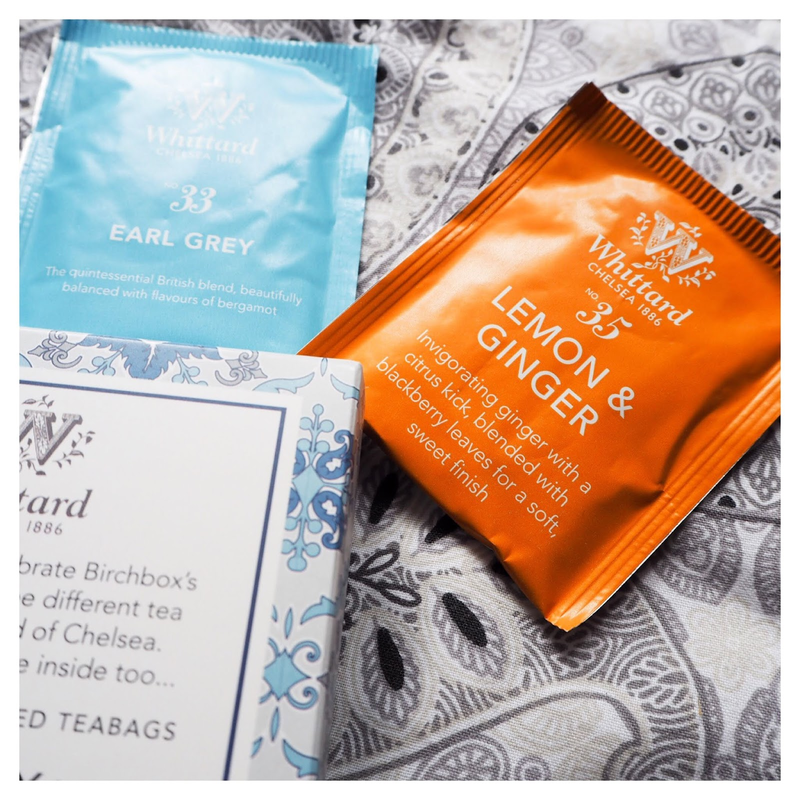 Not only that but the added bonus of some delightful teagbags from Whittard of Chelsea it's probably my favourite BB to date! Have you received your June BB? 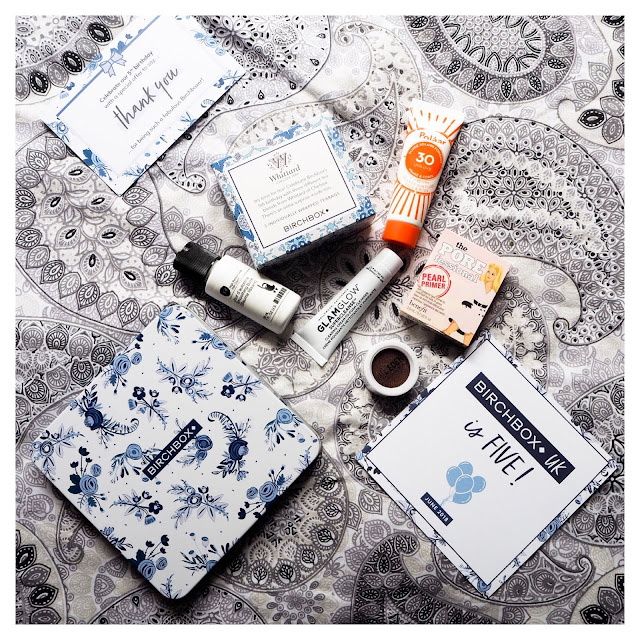 If you haven't signed up click this link: https://www.birchbox.co.uk/invite/9plln you will receive £5 off your first box!